At least two and possibly three incumbent members of the Orlando City Council find themselves on the run to keep their seats in Tuesday’s city elections. The 2017 elections have found wildly different races in the city’s contests for District 1, covering most of southeast Orlando; District 3, covering most of north Orlando; and District 5, covering most of northwest Orlando. Yet all three are proving contentious and competitive in their own ways. 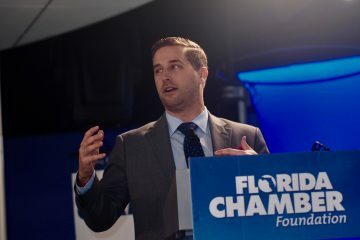 If the challengers have any advantage, it’s rooted in the belief that rapidly-growing and rapidly-changing Orlando’s voters are seeking new leaders for a new era. Yet Stuart, who lives in College Park and runs a Christian relief ministry on the city’s west side, finds himself in perhaps the most combative of campaigns, and in a highly-competitive contest. 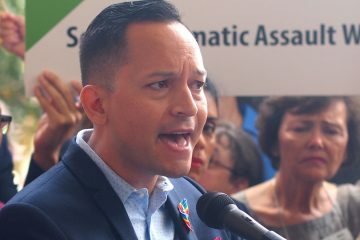 That’s thanks to an aggressive and well-funded campaign by progressive challenger Asima Azam, a lawyer from Baldwin Park, who’s been canvassing since February and has attended dozens of meet-and-greet gatherings in the district. Their race has been the marquee contest, and has attracted the most money and the most voters through early and absentee ballots. Yet the other two elections also are full-fledged battles. challenger Tom Keen making it as clear a he can that he’s a Democrat, against incumbent Commissioner Jim Gray, whose campaign has suddenly caught the full backing of the Republican Party of Florida. District 5 features a battle royal between incumbent Regina Hill and six challengers, including several making plenty of noise, Ericka Dunlap, Cynthia Harris, Betty Gelzer, and Sarah Elbadri. The prospect is high that no one will get a majority of votes Tuesday, which would lead to a runoff election on Dec. 5, which likely would be Hill versus a single challenger trying to unite the anti-Hill opposition. In District 3, Stuart has raised more than $167,000 and spent more than $154,000. Azam has nearly kept up, raising $117,000 and spending $96,000 in campaigns that have gotten ugly. In the end, the two, both registered Democrats, are hoping for referendums. Stuart wants a referendum on how the city is doing; Azam wants one on whether the city needs a new, more progressive, generation of leadership. A similar theme has emerged in District 1, with varied neighborhoods, including the boomtown region of Lake Nona, the old communities west of Orlando International Airport, and some well-established areas along the Semoran Boulevard and Conway Road corridors. Gray, president of GrayPointe Capital, a commercial real estate investment firm, talks about his accomplishments of pushing for new regional parks and more police, getting 24 more officers assigned to the district in the past couple of years. There also is, he said, the reality that many of the voters are “generally pretty happy” with how things are going. Yet, Keen, an aerospace business development manager, points out that the district is far more than Lake Nona, with residents of the Southport area feeling “a little bit abandoned,” and people farther north in the Vista Lakes area concerned about development in an already dense community. Gray raised $59,000 for his re-election, including a late-arriving $15,000 in-kind contribution from the Republican Party of Florida. Through last Friday he had spent $42,000. Keen raised $27,000, and spent almost all of it through last Friday. 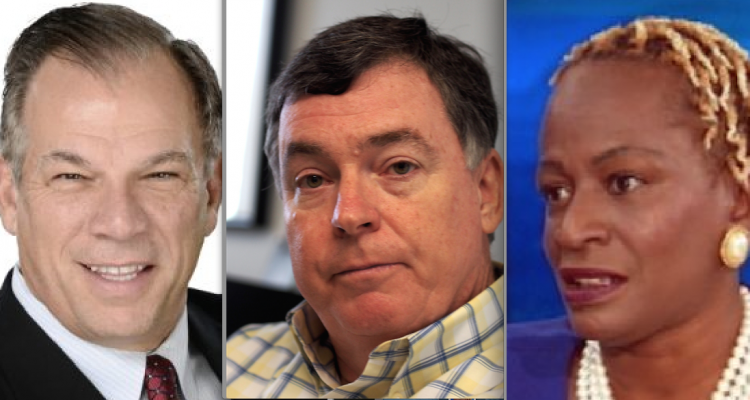 In District 5, a largely inner-city, mostly African-American region, Hill, a nurse, may be the least vulnerable incumbent, yet she finds herself under attack from old nemeses, particularly Harris and Gelzer, concerned with her responses to gentrification pressures; and fresh candidates such as Dunlap and Elbadri, who talk about representing a new, more diverse, 21st century community that is emerging. Also in the race are Jibreel Ali and Ondria James. The area has long been defined by older, proud African-American neighborhoods such as Parramore, with high home-ownership rates, and numerous small businesses, struggling in recent years with poverty and crime. Yet it now includes includes the soon-to-emerge Creative Village development on the edge of downtown, which will include the University of Central Florida’s downtown campus and a new community planners envision will be filled with high-tech entrepreneurs wanting to be in a live-work-play neighborhood. 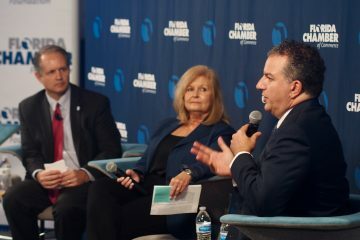 It also includes Orlando’s three big sports venues, Amway Center, the Orlando City Stadium, and Camping World Stadium, with emerging commercial districts aimed at tying them into a sports and entertainment district. Her references to “tests, trials, and tribulations” no doubt includes the tragic death of her 24-year-old daughter two years ago, but also her well-documented personal history with financial problems and drugs, and numerous arrests, most recently in 2009. She insists she is straight and sober, but opponents made issue of a rambling Facebook video she posted in April in which she appeared otherwise. Still, the major attacks have come on the issues. Harris and Gelzer have been highly critical of Hill for not doing more to slow gentrification, and to assure that affordable housing remains within the grasp of low-income people who’ve lived in the area for generations. Dunlap, the former Miss America who is a public relations executive, insists she can bring a national and international focus to the district, particularly focusing on what can be done to share the benefits of potential developments throughout the district, while still seeking to preserve its traditions. Elbadri is an urban planner who said she’s got deep experience working in City Hall with officials, and outside City Hall with the planners, developers, and others who make things happen, including as executive director of the city’s Mainstreet Program south of Downtown. That, she said, has given her a clear vision for maximizing the district’s potential while protecting its heritage, a vision she charged the other candidates have not articulated. Hill raised $51,000 toward her re-election. Dunlap raised $34,000; Harris, $27,000; Gelzer, $24,000; Elbadri, $10,000; and Ali, $8,000.